Ask most people what they love or loath about their boss, they will tell you that there is either a great deal of trust with that person or no trust at all. Building trust is the foundation of building high performing teams. Pat Lencioni in his book The Five Dysfunctions of a Team states that a team with high trust is better able to engage in productive and unfiltered conflict, commit to decisions and action plans, hold one another accountable for delivering against those plans and focus their attention on the achievement of collective results. High performing teams have leaders who are willing to share some of their vulnerabilities, demonstrate respect to others, show a willingness to be wrong, and hold themselves and others accountable for results. Set clear expectations. Employees need to know what is expected of them in terms of results, behaviour and standards. The more clearly you can define these aspects of performance, the easier it is to give feedback and hold staff accountable for their overall performance. With clear guidelines, employees will feel more confident and successful in their role. Give honest and timely feedback. When you observe a job well done, let your employees know. If performance needs improvement, give constructive feedback with suggestions on how they can improve and grow in that aspect of their role. The more you balance positive and negative feedback, the more likely employees will believe that they are being treated fairly and will be motivated to meet or exceed expectations. Don’t make promises you can’t or are unwilling to keep: If you promise employees a raise, bonus or promotion and fail to keep it, you will quickly erode any goodwill you have created. If you have made a promise and can’t keep it for reasons beyond your control, let them know the reasons why and keep them informed as to when it is likely the situation might change in their favour. Take an interest in their career development: At least once a year, take the time to talk to your staff about their career goals and aspirations and whether their current role is helping or hindering them in achieving those goals. Ask what you can do to assist them in their current role and challenge them in what they need to do to grow their career if that’s what they want. Give useful feedback and agree to check back with them on a regular basis to find out how they are progressing. Ask for and accept feedback: One of the best ways to know how you are performing is to ask your employees. Resist the urge to argue with them if you disagree with what they are telling you. Rather ask open questions to understand and learn from the conversation. Lead by example: Be accountable for your actions, words and deliverables. Are you honest and upfront with your employees? Do you follow through on your promises? Are you fair and empathic in your dealings with them? Do they get to see these good behaviours consistently? 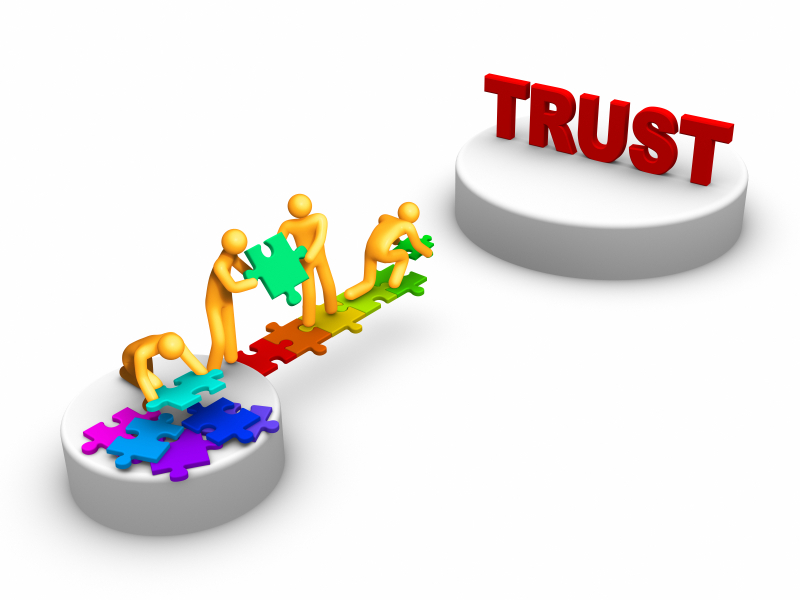 Inconsistency or non- delivery will erode trust and credibility with your team.